Asus had added another netbook to their range, which features on of Intel’s new Atom processors, the Asus Eee PC 1001P Netbook. Just like the new Asus Eee PC 1005PE, the Asus Eee PC 1001P Netbook features the new Intel Atom N450 processor that are designed to deliver better battery life, with up to 11 hours of usage on the Asus Eee PC 1001P. Other specifications include 1GB of DDR2 RAM, with the option to upgrade to 2GB, plus a 250GB 5400RPM SATA hard drive, and a 0.3 megapixel web cameras. 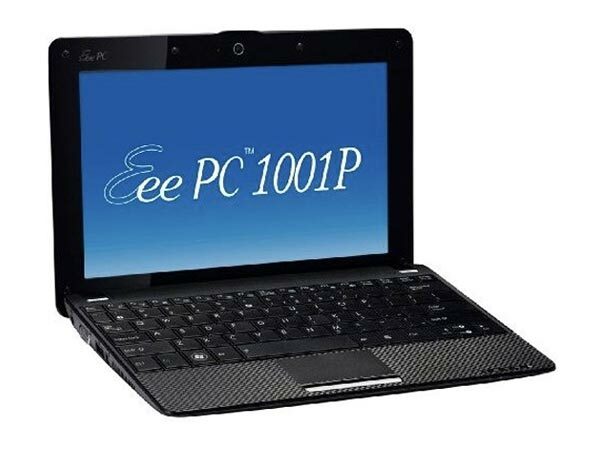 The Asus Eee PC 1001P Netbook features a 10.1 inch LCD display with a resolution of 1024 x 600, it comes with built in 802.11b/g WiFi and Bluetooth, plus Windows 7 Starter Editon. If you want one, the Asus Eee PC 1001P Netbook is now available for $339.99 from Amazon , and it comes in a choice of two colors, black and white.